Do You Have One or More Employees Who Have Expressed an Interest in Buying Some of Your Business? 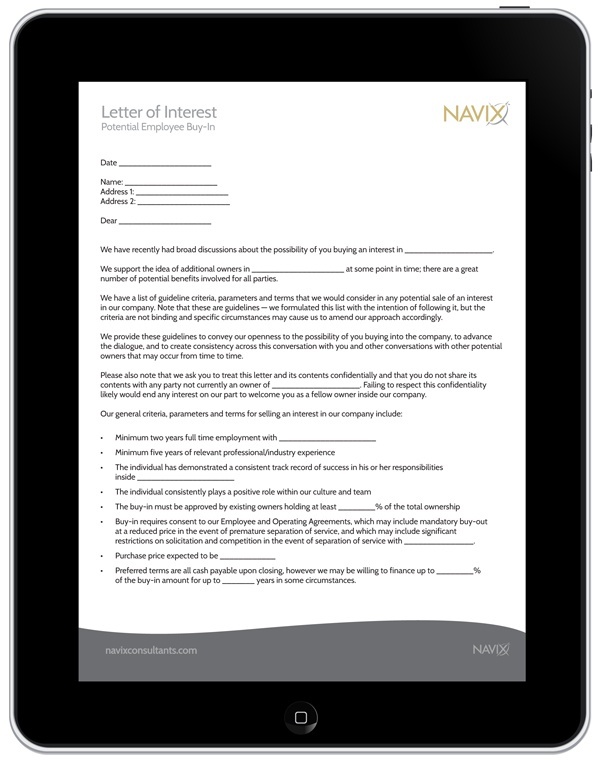 This Employee Buy-In Letter template can be used to formulate with your employee the criteria you have for buying into the business, and the approach you may be following. Download this tool, consult with your advisors, and then customize the contents to fit your situation. Provide your letter to your employees to advance the dialogue in a thoughtful and clear manner. To access this content, please fill out the form below. 100% privacy, your information is never shared.